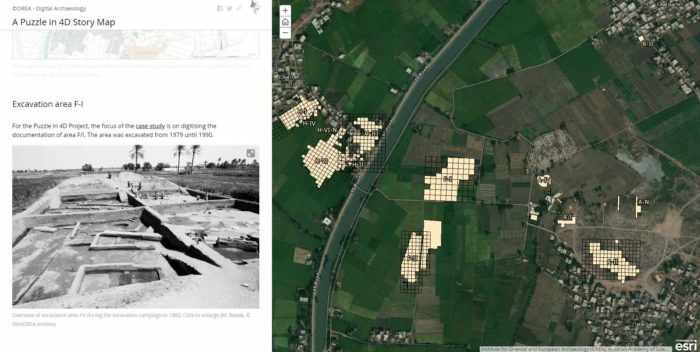 The aim of the ‘A Puzzle in 4D’ project is to provide long-term preservation for the rich archaeological resources of the excavations at Tell el Daba in Egypt. 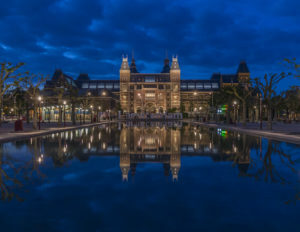 Digital and non-digital excavation data will be enriched with metadata and prepared for long-term archiving and open-access online publication. 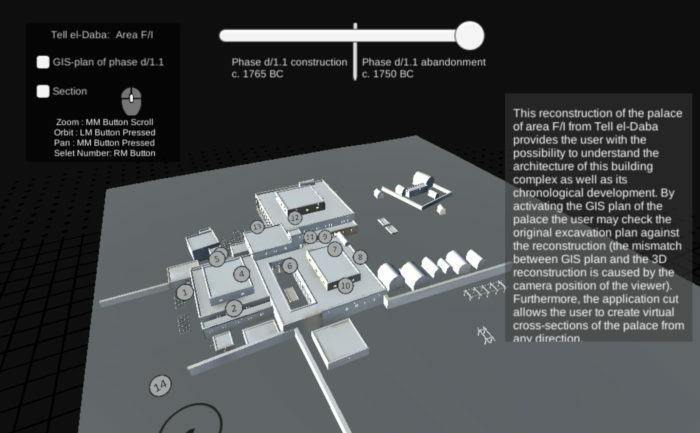 The overall aim of the A Puzzle in 4D project is the digital long-term preservation of the knowledge and information from the Austrian excavations at Tell el Daba by preparing them for long-term archiving based on national and international standards and in accordance with open-access policies.1 This project is designed as a case study for the development of a repository for archaeological data at the ÖAW ACDH (Austrian Academy of Sciences, Austrian Center for Digital Humanities). Tell el Daba (TD) is an archaeological site situated in the eastern Nile delta regions of Egypt revealing archaeological evidence from the 12th to 18th dynasties (early second millennium BC)2. Excavations reveal that there was a wealthy society with contacts to many parts of the eastern Mediterranean. A unique connection to Minoan culture has been shown through thousands of fragments of Minoan-style wall paintings discovered in one of the TD palaces, depicting e.g. scenes with bulls and bull-leapers which have become a trademark of the site. In a summary this reconstruction served as a starting point which will be extendet in the coming years, enriching the application with state of the art technology and implementing the latest research results, keeping it u to date and attractive for the broader public. E. Aspöck – K. Kopetzky – B. Horejs – M. Bietak – M. Kucera – W. Neubauer, A Puzzle in 4D. 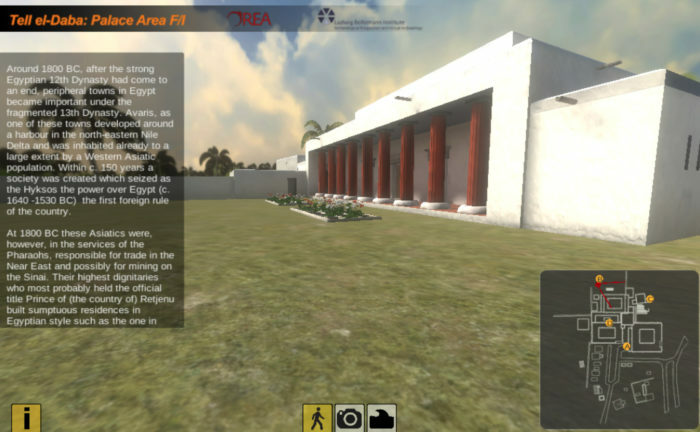 Digital Preservation and Reconstruction of an Egyptian Palace. Proceedings of the Digital Heritage International Congress held in Granada, 28 September–2 October 2015, doi: 10.1109/DigitalHeritage.2015.7419596. M. Bietak, Tell el-Dabca V. Ein Friedhofsbezirk der Mittleren Bronzezeitkultur mit Totentempel und Siedlungsschichten, Teil I, UZK 8 (Vienna 1991). Hein – P. Janosi, Tell el-Dabca, XI: Areal A/V, Siedlungsrelikte der späten Hyksoszeit, UZK 21 (Vienna 2004). M. Bietak – J. Dorner – P. Janosi, Ausgrabungen in dem Palastbezirk von Avaris. Vorbericht Tell el-Dabca/cEzbet Helmi 1993-2000, Ägypten und Levante 11, 2001, 27–119. M. Bietak – I. Forstner-Müller, Ausgrabung eines Palastbezirkes der Tuthmosidenzeit bei cEzbet Helmi/Tell el-Dabca. Vorbericht für Herbst 2004 und Frühjahr 2005, Ägypten und Levante 15, 2006, 65–100.